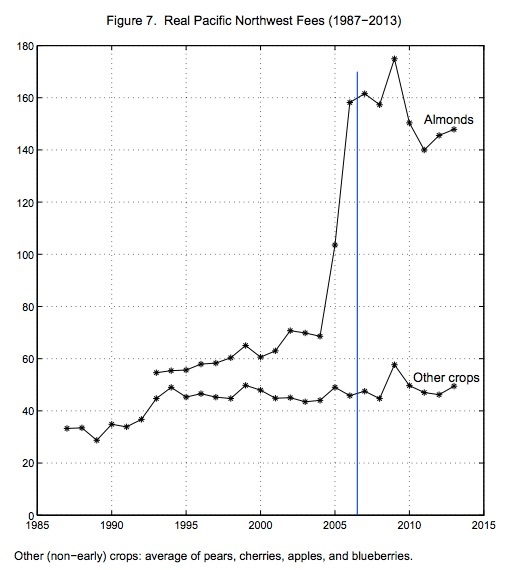 Right now, millions of California’s almond trees have begun to bloom. But people are worried about the bees that pollinate them. Where are we going? To the power of the market. Yesterday, the NY Times Business Section introduced me to Bret Adee. The largest beekeeper in the U.S., he is probably in California at this moment. Note: I’ve added examples of crops to the Scientific American map. During 2006 in Florida, a beekeeper lost two-thirds of his 3,000 honeybee colonies. Phone calls to other beekeepers confirmed that he was not alone. Starting a new chapter in honeybee history, Colony Collapse Disorder (CCD) had begun. While colonies always had a mortality rate that was close to 14%, CCD upped it to 30%. More recently, the losses have continued at a lower level but the concern remains. The cause of CCD is unknown. 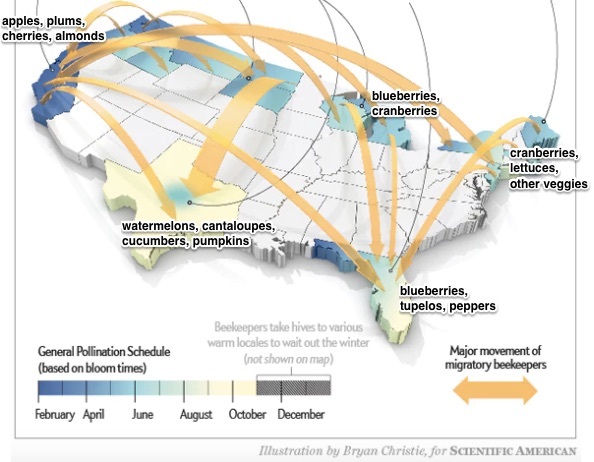 Almost all of the honeybees in the US belong to commercial beekeepers who participate in markets that determine colony costs and pollination fees. Those markets appear to have moderated the impact of CCD. Through several cost effective solutions, market-based incentives enabled beekeepers to replenish depleted colonies. 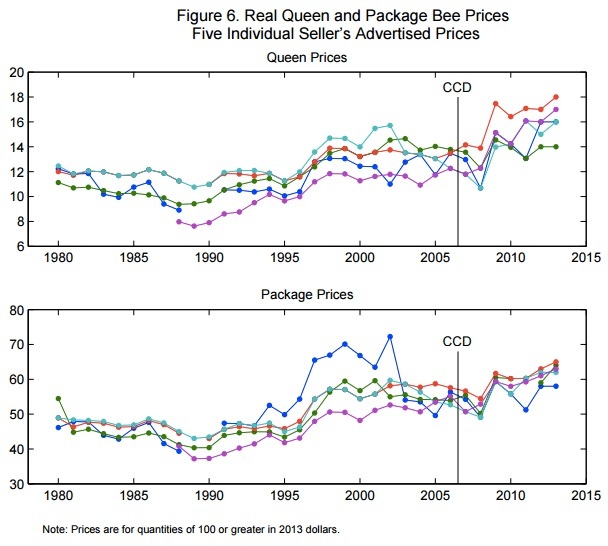 Because they could purchase affordable queen bee packages, supply side pressure on pollination fees was small. Our message? The power of the market can help us adapt to environmental change. My sources and more: About much more than bees, this paper started me thinking about adaptation as an offset to the downside of environmental change. But for more on CCD, I recommend Scientific American, the Washington Post and the NY Times.